Dr Mahamudu Bawumia has stressed the need for the Ghana Revenue Authority (GRA) to widen the tax net. Statistics indicate that only 1.2 million out of 6 million economically active people in Ghana pay taxes. One million out of the estimated 1.2 million people are in the formal sector. The Vice President said the development, which is negatively affecting revenue mobilization, must not continue. The new iTaPs software allows for convenient, easy and less costly way of paying and filing of tax returns through the use of computers and mobile phones. He was delighted by the fact that GRA had been allocated about 8,000 NABCO interns, adding that with the extra hands for GRA, the Authority would have no reason to repeat the performance in the future. The Vice President tasked the GRA to, as it were, comb all commercial centres to locate potential taxpayers. He also urged the Commissioner-General, Emmanuel Kofi Nti and his lieutenants to effectively use NABCO interns and leverage the technology provided by the digital addressing system to identify and locate existing and potential taxpayers to improve the statistics. He appealed to people to get Taxpayer Identification Numbers (TINs), stressing the need for top management of GRA to urgently resolve the challenges with the system to speed up the registration process to maintain the interest and enthusiasm of the public. Meanwhile, the GRA is set to launch an electronic payment platform for operators in the informal sector, particularly commercial transport operators and taxpayers, to enable them pay their taxes through mobile money. Dr Bawumia reiterated government's commitment to moving the economy from one of taxation to production. On his part, GRA Boss Kofi Nti, indicated their preparedness to organize tax clinics and engage the media as part of efforts to create awareness. 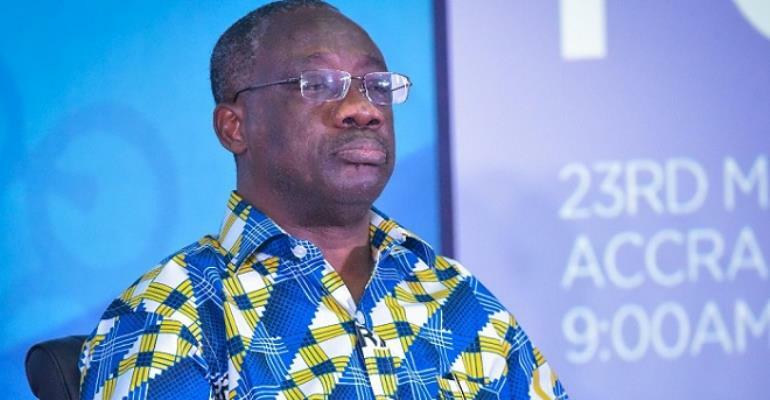 He said the Authority would apply the necessary sanctions to tax defaulters and urged Ghanaians to endeavour to comply with the country's law by paying taxes.